"The Perecman Firm is a New York city based law firm experienced in all types of personal injury cases, including construction accidents, auto accidents, medical malpractice, slip and fall, product liability, and wrongful death. Attorney David Perecman founded The Perecman Firm in 1983 after securing a very significant $600,000 verdict against Gimbels department store for wrongful detention of an elderly woman suspected of shoplifting. The firm has continued to handle high-profile cases, such as the Avonte Oquendo and Nashalay Perez cases, throughout the years. The New York City personal injury attorneys at The Perecman Firm have successfully tried to verdict many complex personal injury lawsuits. Unlike some other personal injury lawyers who do not try cases, The Perecman Firm has a record of multimillion-dollar verdicts, which assists our firm in bringing about higher settlements for our clients. Overall, The Perecman Firm has won more than $200 million in verdicts and settlements for its clients. Over three decades of experience means the firm has long-standing relationships with investigators and expert witnesses who play key roles in the successful resolution of most personal injury cases. 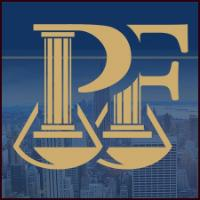 The Perecman firm attorneys prepare cases using extensive investigation, research, and litigation skills. At trial, the firm makes frequent use of qualified experts, large-scale illustrations, and cutting-edge technology. Finally, the narrow focus and team approach of this boutique law firm translate into highly personalized attorney-client relationships. Individuals who retain The Perecman Firm do not pay unless the firm secures a recovery on their behalf, and initial consultations are free." New York Law Journal's "Top Verdicts in New York"